The Deluxe 3/4 Solid Top Double Bass + Case by Gear4music features our superior three quarter size Double Bass with solid spruce top, and comes complete with a French bow and lightweight hard case with wheels - meaning that this high quality instrument can be transported with a minimum of fuss to concert venues. 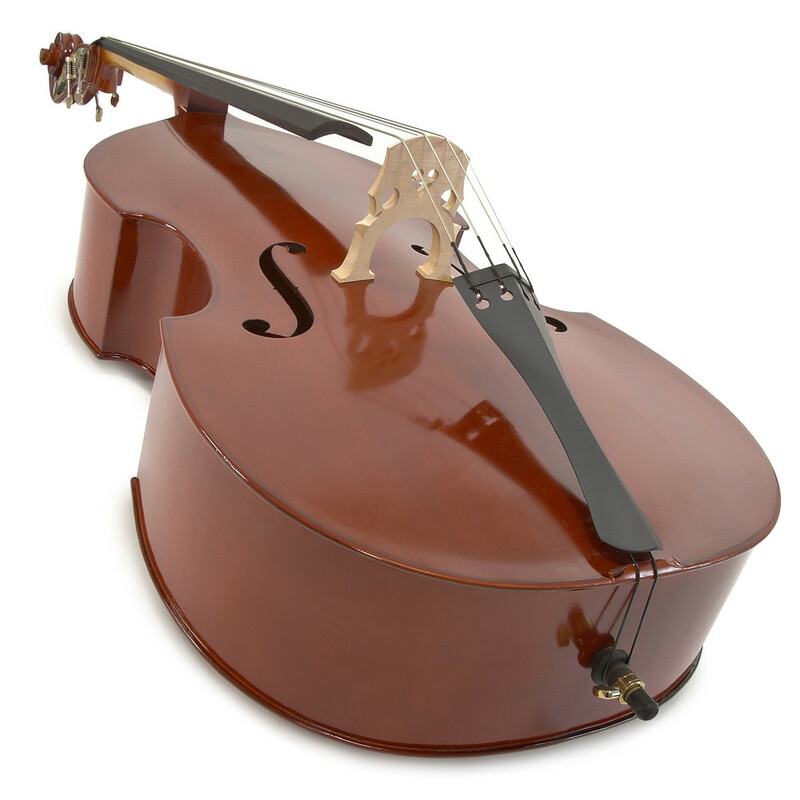 The hand finished 3/4 size double bass provides a manageable, playable and transportable instrument. 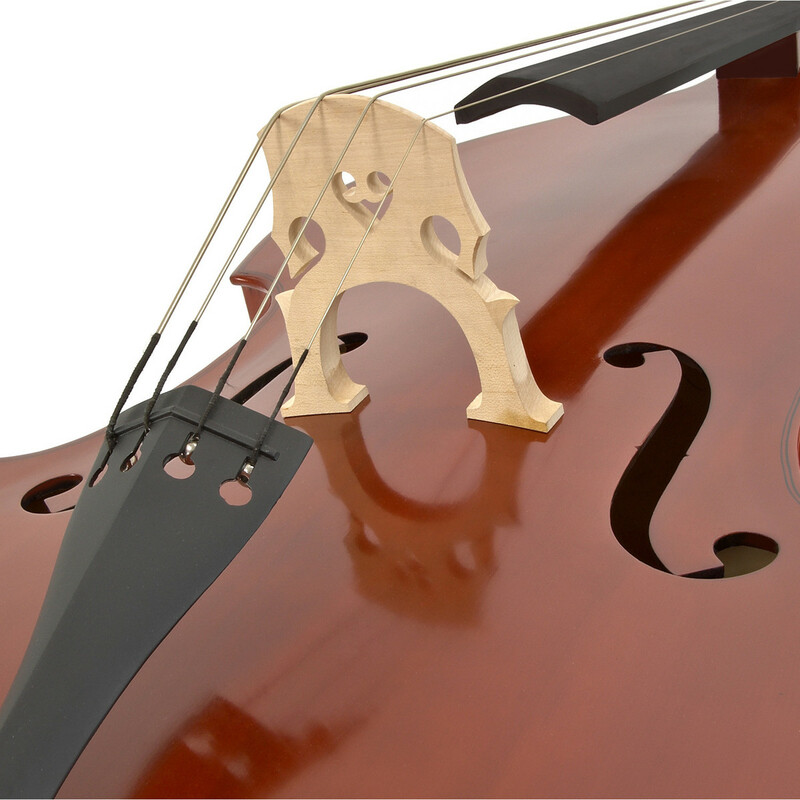 This deluxe bass produces a lovely warm sound, and benefits from the greater projection and depth of tone offered by a solid spruce top. The high build standard of our deluxe series is suited to a discerning beginner, or a more advanced player looking to expand their collection. 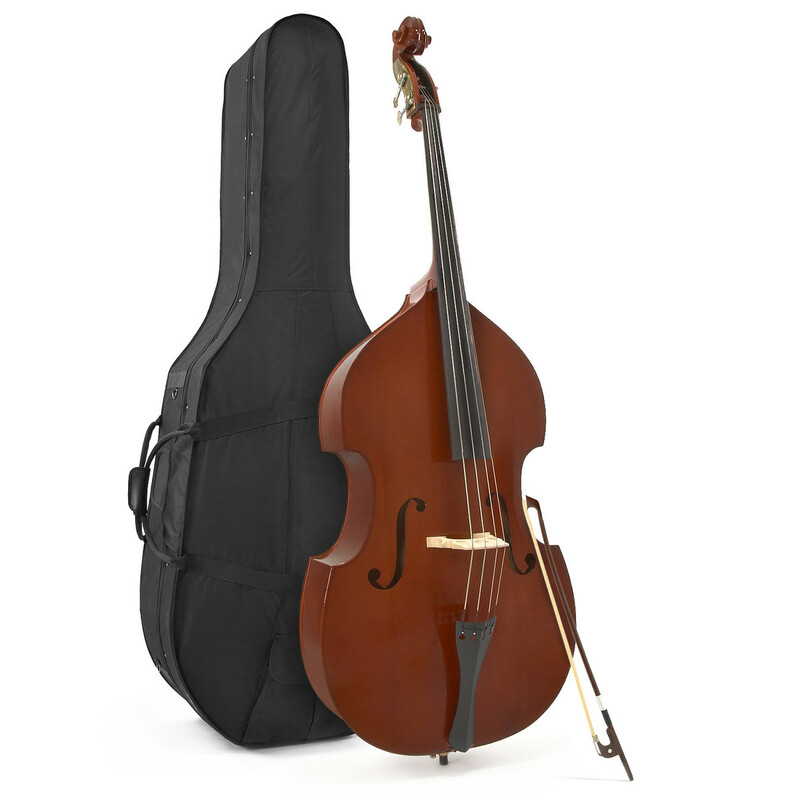 Suitable for many musicals genres including jazz, classical or rock n roll, this Gear4music double bass offers projection and clarity enough to produce a solid underpinning in ensemble pieces or solo performances. 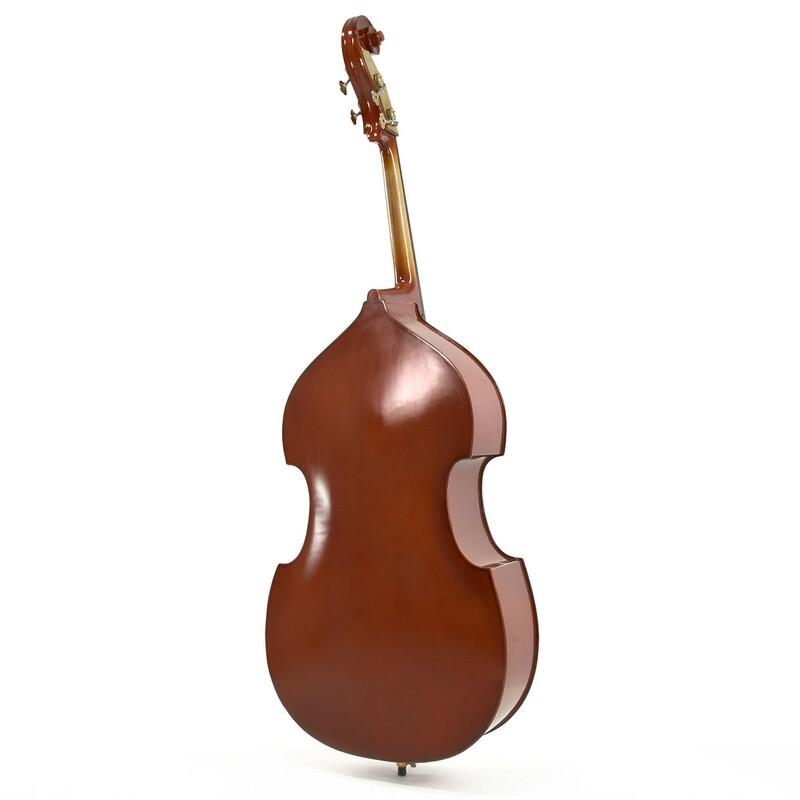 This bass is completed with ebonized fingerboard and a traditional orange-brown hand lacquered finish. 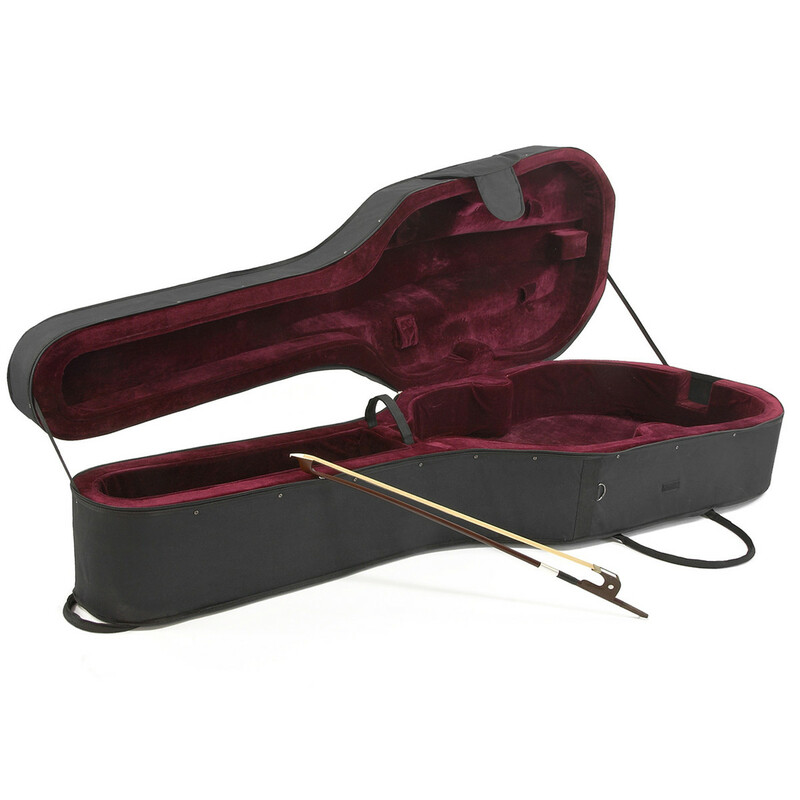 The hard case with wheels means the double bass is both portable and protected. 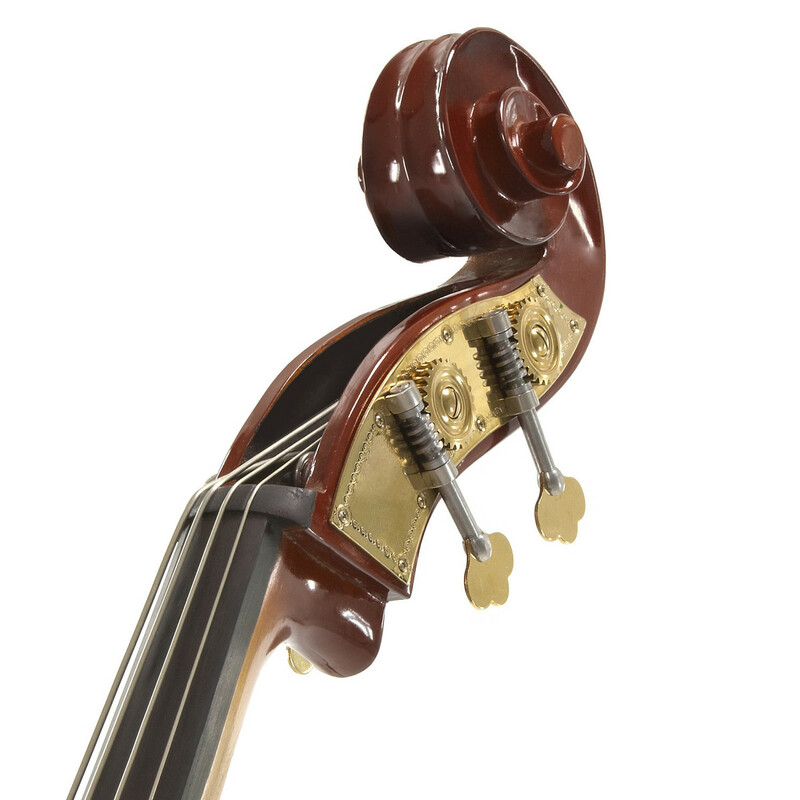 This hand crafted instrument is a suitable choice for anyone requiring a quality, entry-level double bass that provides a warm versatile tone suitable for a range of styles.